Never miss a new resource from your favourite contributor! 1) Once you've found a resource you like, click 'Follow+' next to the contributor's profile to start following them. 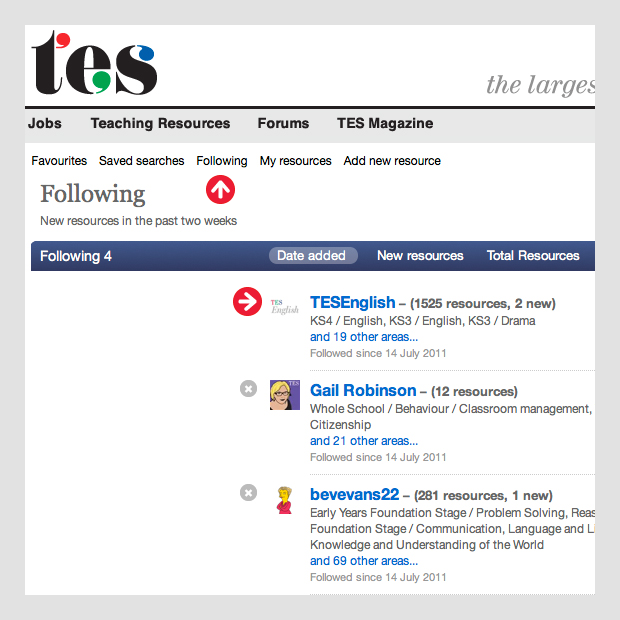 If you're not already logged in to the TES site, you'll be prompted to do so. 2) Click 'Following' to view all the contributors that you follow. If they've uploaded new content recently then this will be flagged up. 3) You'll automatically start to receive fortnightly emails informing you of new resources from the contributors you follow. 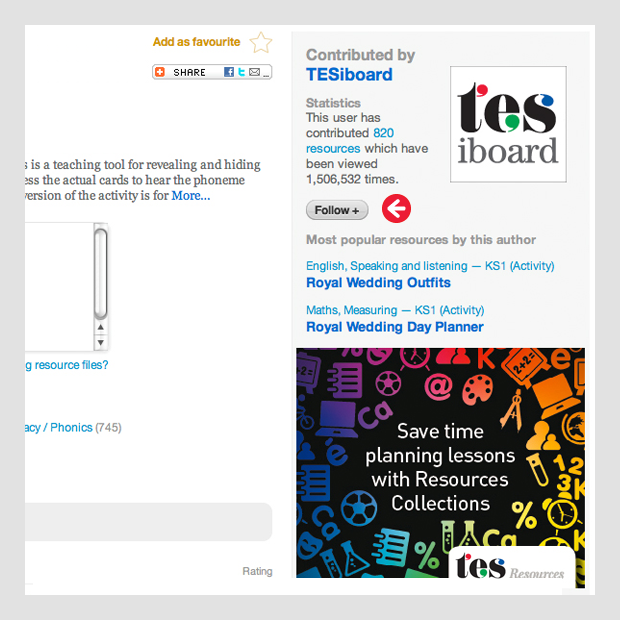 TESiboard - Highly visual interactive resources for KS1 and KS2. 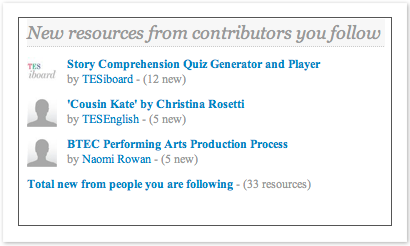 TESEnglish - Secondary English materials developed and produced by practising specialists. MrBartonMaths - Secondary Maths materials including IWB and video resources. Tom_Bennett - Behaviour and classroom management expert. Did you know you can also save your favourite searches?